WOW! 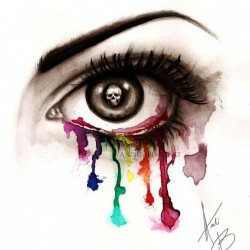 Some absolutely amazing art in here! From the most simplistic to the highly detailed, they were fantastic. 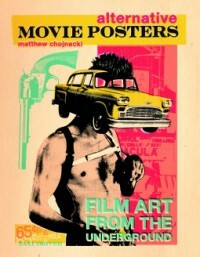 Even if they weren't movie posters, there were some great pieces of art that I would love to have hanging on my walls. a large percentage of the movies captured in this book are unknown or unseen by me (I don't watch near the number of movies my hubby does, & my list of movies I want to watch would seriously rival my books to read list), but that in no way hindered my love and appreciation of these movie posters. In many cases I know the film company's DVD cover/promotional posters for the movie, and found it fascinating how these artists portrayed them. Some similarly & others vastly different to those I know. For some of the films I know quite well, I feel that these alternative posters captured the essence of them far better than any of the commercial material I've seen. Their creativeness and uniqueness draws your attention far better than the majority of todays standard film promos. A must see for film and art fans!